Very few theatre personalities in India have become legends in their life time. Habib Tanvir was one of them. Born as Habib Ahmed Khan on September 1, 1923 in Raipur, Chattisgarh, Habib Tanvir has reinvented Indian folk theater and brought it out on the world stage in its full glory. I still remember the evening in Calcutta when I watched his brilliant creation “Charandas Chor”. The presentation of the play in a traditional folk form looked so modern, so fresh, that I couldn’t think of anything comparable in contemporary theatre. Habib, through is work, has left a legacy that is difficult to carry on – because it demands a level of dedication that many of our modern theatre workers will fail to match. The sensitivity with which he nurtured the folk forms, experimented with content and presented them with such grace and simplicity – only a true genius can achieve such excellence. 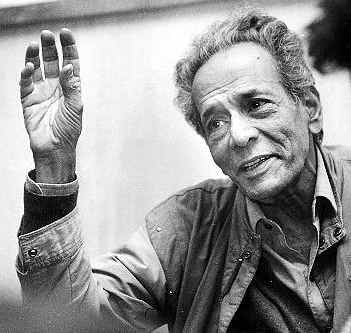 Habib Tanvir passed away on June 8th, 2009, but the lengend he became still lives on and inspires theatre workers all around the globe.